Synopsis:Sit Dan Yan (Johnson Lee) seems like an ordinary police officer at first glance, but he secretly holds a special talent in solving the trickiest cases. Taking after his grandfather, Dan Yan inherits the talent in metaphysics and is able to gain answers to murder cases at the most critical moments. 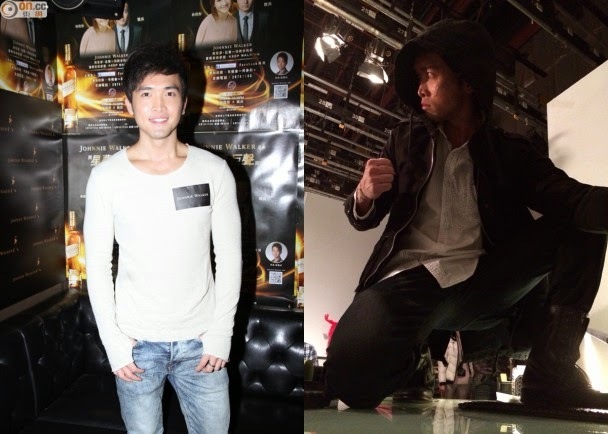 As well, Dan Yan has the help of good friend, Leung Sing Kau (Oscar Leung) – a talented individual who has sources in both the police and triad worlds. Together with his boss, Che Gui Fei (Joey Meng), who has an educational background in criminal psychology, the trio makes a highly compatible team in the law enforcement world. While Gui Fei is an outstanding leader at work, she is also a very strict yet caring sister to Che Gui Mei (Harriet Yeung 楊詩敏) and Che Gui Kwan (Fred Cheng 鄭俊弘). Constantly worried about her younger siblings’ well being, Gui Fei enlists Dan Yun’s help in breaking up the love triangle between Gui Mei, Sing Kau, and Ti Leung Chi (Rebecca Zhu). Unfortunately, while Gui Fei is focused on helping her sister, a series of abductions occur in the city. However, the kidnapping case brings back unwanted memories for Dan Yun, who recalls a similar case with the same modus operandi from his past. SOOMPI RULES OF CONDUCTDon't post any requests for subs!Anything unrelated to the drama character/plot is considered spamming. Don't quote images.01.Due to the copyright/legal problems, no illegal streaming links will/should be posted on this thread as there had been major crackdowns going on lately.02.Any complaints about any streaming links will be counted as spam and will be reported to the mods.03.Any complaints of the respective companies such as Viki, youtube, Etc.. should be report to the respective companies instead of posting your complaints here.04.Those who are caught breaking the Soompi posting rules more than 5 times will have their Id/IDs reported the mods. 05.Those who are caught promoting/posting illegal streaming links with subs ( those without permission from the original subbers and doesn't have copyrights like Viki,Dramafever or Crunchyroll) will have their Id reported to the mods for endangering Soompi to legal issues for illegal streaming sites promotions. TVB artiste Penny Chan (陳國峰) in TVB series Officer Geomancer (八卦神探) plays a breakthrough role, portraying a reporter who because his girlfriend Elaine Tsang was gang raped by close friends Alan Wan (溫家偉), Brian Tse, and others and thus committed suicide, decided to seek revenge, turning into a zombie biting his enemies to death. Fully able to have portrayed the insanity and fierceness of the zombie, he bluntly expressed that the role is extremely challenging: "I did watch zombie films for reference and I also looked for the distinctive features of a zombie. In addition with the special effects makeup, the end result is really good. (A zombie in today's society is too surreal?) Not really, actually in the United States, there has been a human-biting incident, there are some psychotropic drugs that will lead one to become mentally insane. Moreover, Penny expressed that this time he has a lot of psychological acting scenes, and also has chasing and fighting scenes with Otto Chan (陳志健). Although he doesn't appear in a great number of episodes, he is still really grateful to have this opportunity. Mimi Chu self-complimented herself that she is a beauty and need not fight for man's love? 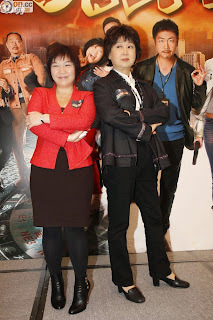 Artiste, Mimi Chu (朱咪咪) was promoting the series, Officer Geomancer (八卦神探), in Kwai Fong (葵芳). In the series, she was competing with Mak Ling Ling (麥玲玲) for Law Lok Lam's (羅樂林) love. During the interview, Mimi complimented herself in an amusing way that she was a natural beauty and not required to vie for man's love, and said: "I need not fight since I am beautiful. I have outer and inner beauty." When mentioned about her upcoming concert, Mimi replied she was practising singing while filming series, and said: "I have prepared around 70% to 80% and need to film new series, Ghost of Relatively (鬼同你OT), at the same time. (Not easy?) Yes, it is hardship. I suffer a sore throat when filming series earlier." The finale of the series, Officer Geomancer (八卦神探), acted by Joey Meng (萬綺雯) and Johnson Lee (李思捷). was broadcasted not long ago. A few days during the interview, Joey confessed that she fell in love with her policewoman role and admired her role's character which had some resemblances to her actual character: "The role is not really pitiful and she is very persistent when comes to working. She will become another person whenever dating and spending time with family. She is a loyal person in relationship and willing to sacrifice for the sake of love. She resembles me in many aspects." When mentioned about acting in comedy series, Joey replied that she enjoyed the relax feelings and said: "Earlier, I film the series, A Change of Heart (好心作怪), and my role is tragic. I feel emotional, emotional, negative energy during the filming. Filming comedy series makes me happy and it will be best if the series is relaxing and resembles details of real life." In the new episode of TVB series Officer Geomancer (八卦神探) that was broadcasted last night (January 8), Rebecca Zhu (朱晨麗) had a breakthrough performance. One scene talked about her feeling uneasy seeing William Chak (翟威廉) and Harriet Yeung (楊詩敏) dating and venting her anger. Sporting a low-cut shirt, she vented her anger and coordinated with the camera shot, unrestrainedly revealing her chest. In addition with her confessing her love to William while crying, it can be said that this was a huge challenge for her, and has became a popular topic amongst netizens. Reporters contacted Rebecca, she said: "Huh? That exaggerated? (Praising your body?) I don't know what to say, I guess I can only say thank you. (The result was very revealing) The plot required it, I haven't watch it yet, have to go stream it online. But I hope everyone won't just pay attention to my body. I actually did a lot of homework for this role. I've practiced a lot on my Cantonese so I am really happy when people praise me."